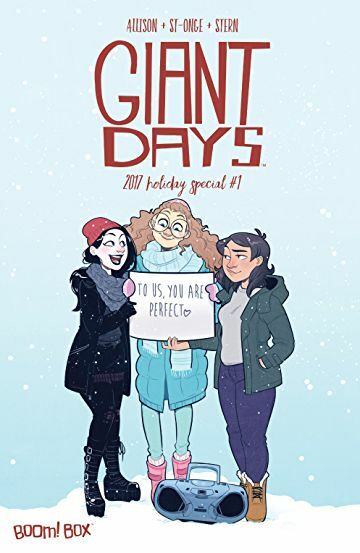 ‘Tis the season for hot takes about Love Actually, and you can bet the most nourishing will come courtesy of Bad Machinery mastermind John Allison in what the solicits are already calling a “tribute to the films of Richard Curtis.” Teaming with Jem and the Misfits artist Jenn St-Onge (presumably to give regular series artist Max Sarin a much-deserved Christmas holiday) for this 2017 Holiday Special, Allison turns his wry comedic eye — like Nick Park if he spent more time in record shops — to that film where Rick Grimes tries to steal Baron Mordo’s missus. Hoping to avoid the brunt of being forced to “tidy up” and “think about what they’re doing with their life,” students Esther de Groot, Susan Ptolemy and Daisy Wooton opt to stay at their university halls until the very last minute before returning home for the Christmas break. Bored and snowed in, they go to stay with Esther’s “actual adult woman” friend in That London. It is likely that some high-grade, wonderful nonsense ensues, possibly involving Colin Firth. When an impromptu stop at a carnival during a road trip leads to their Winnebago being stolen, a family finds themselves stranded in a small rural town where some weird things are happening. Before they know it, they’ve become the targets of the town’s citizens who just happen to be Satanists and what was supposed to be a fun trip of family bonding becomes a journey of family survival. Niles has certainly earned his credentials in the horror game with hits like 30 Days of Night, but it’s a real treat to see an artist like Alison Sampson expand her game into this genre. Her realistic style captures the humanity of the characters while the bold, dark lines provides the perfect mix of mystery and spine-tingling chills. UK artist Ricky K. Chandler is a long-time fixture on this site having been featured here on a number of occasions for his self-published Tempo Lush imprint work including Lucy the Octopus and his comics community-focused projects like anthology Tempo Lush Tales. 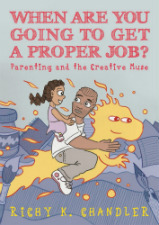 This week sees the publication of his first full-length graphic novel When Are You Going to Get a Proper Job? from Singing Dragon who have been publishing a number of excellent graphic medicine and topical comics one-shots over the last couple of years. 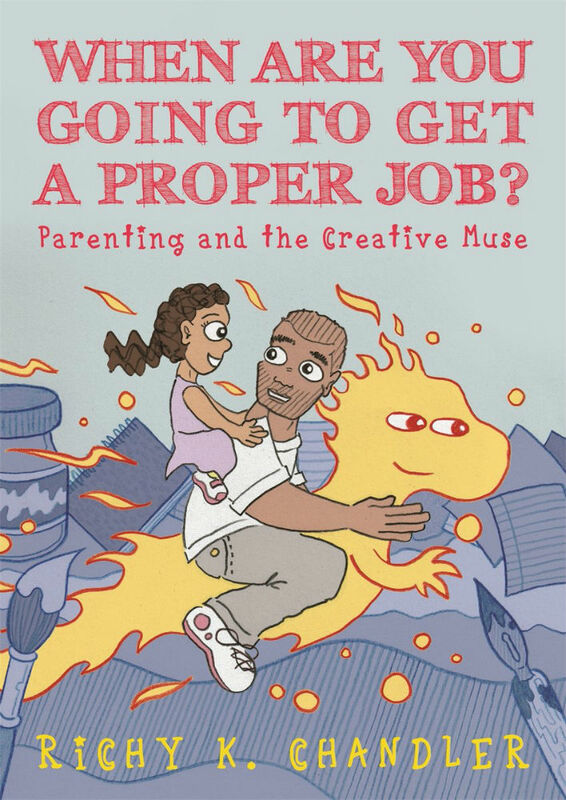 The book examines the life of artist Tariq who must juggle the responsibilities of being a freelance illustrator with being a father and balance his family commitments and his artistic practice. You can see Richy K. Chandler talking about the book in a video here and don’t forget the official launch party at London’s Gosh! Comics on November 27th. Time’s up! This is the final issue of a series I’m sad to see end. 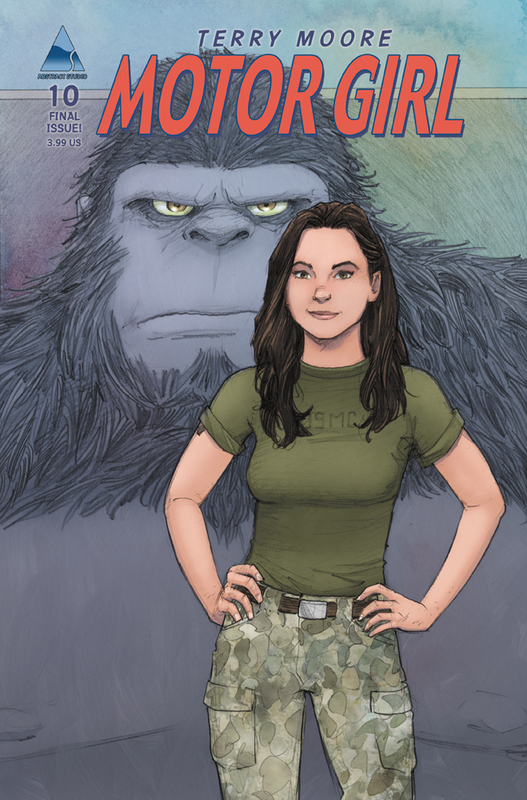 The cliffhanger at the end of the last issue isn’t the only plot thread series creator Terry Moore will have to wrap up, there’s the matter of the life-threatening shrapnel lodged in Sam’s brain. But if the surgery is a success, will she lose Mike? Moore has crafted a “far out” story that keeps its feet on terra firma through the relatability of his cleverly crafted characters. Yes, the bad guys are a bit reminiscent of flunkies from 1970s and ’80s TV cop shows who always drove around in those nondescript four-door sedans—they lean more toward humor than menace. But with his good guys, led by ex-Marine Sam, Moore gives us real people trying to deal with the everyday challenges of their lives who find themselves thrust into the fantastic circumstances that arrive quite literally on their doorstep. How well would you handle a damaged alien spaceship crash-landing on your front lawn? Moore has commendably used the series to highlight the needs and circumstances of returning servicemen and servicewomen, reminding us of our continuing responsibility to be good to one another. If you’ve been reading the series, don’t miss this conclusion. And if you haven’t, the trade will be along shortly. 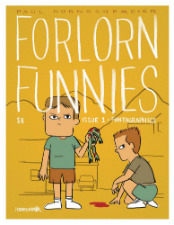 Acclaimed indie creator Paul Hornschemeier makes a welcome comics return this week with a new volume of his Forlorn Funnies anthology series via indie comics champions Fantagraphics Books. 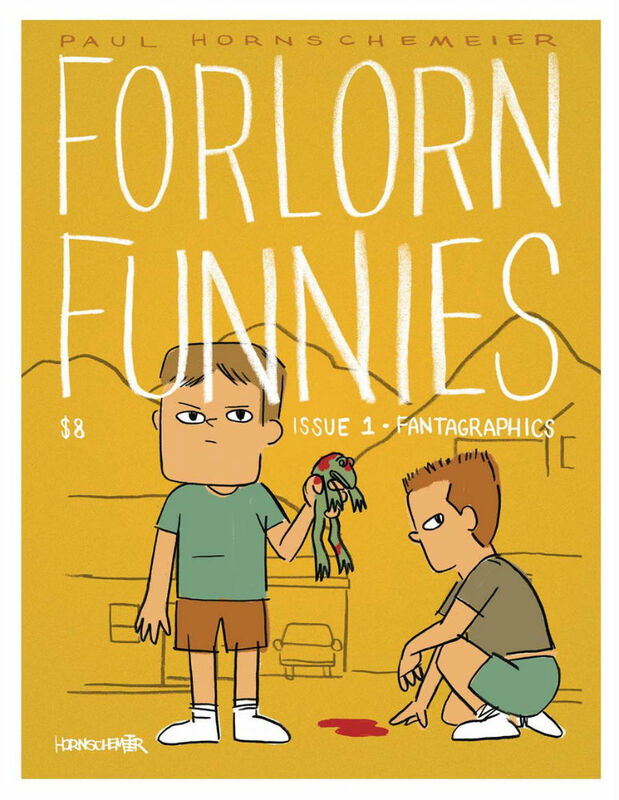 Ranging from comics to prose, this opening issue includes the first chapter of Hornschemeier’s new graphic novel Jerkwater Elite as well as the opening chapter of his first prose novel and the cynical existential angst of his Benny Schellfisch character. Those wanting to investigate Forlorn Funnies further will be well rewarded by visiting the official website here. Written out like that, the story of Snotgirl sounds like the broadest of soap operas, which doesn’t accurately capture its peculiar tone. It has the same breezy, off-handed comedy as Scott Pilgrim, with Hung’s brush inks working equally well for full-page spreads of the elegant ensemble cast voguing as it is for the slapstick comedy which often belies the book’s weirder, darker edges. 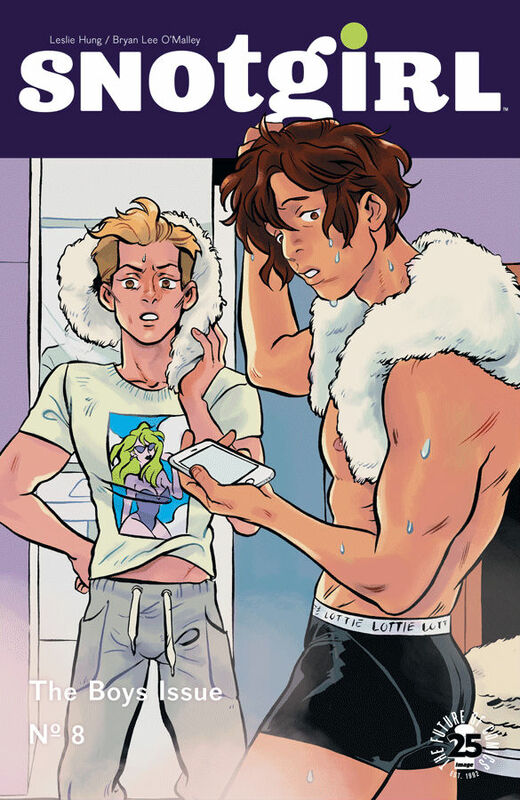 This issue is all about the boys of Snotgirl, including aforementioned ex Sunny and, if we’re lucky, chisel-jawed LAPD Detective John Cho (no relation). 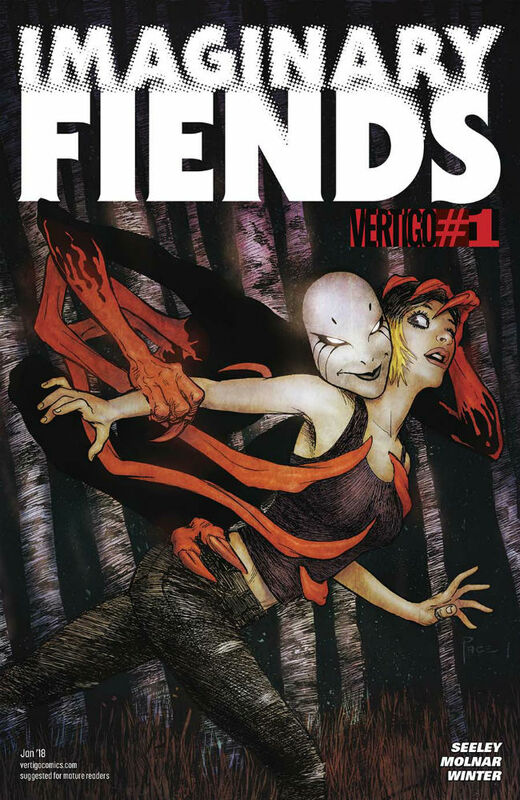 Imaginary Fiends looks to be what Vertigo doing what Vertigo do the very best, as in a healthy heady mix of quirky and creepy with sumptuous visuals. Tim Seeley (writer SLASH artist behind NY Times bestselling Hack/Slash and a bunch of other stuff) and Stephen Molnar (Star Trek, Pantheon) give us a tale of macabre inter-dimensional instruments of psychosis. Monsters in your head that are real, and they want you to kill your friends. Plus FBI crime-fighting and dark teen angst. All of the characters named in the description are female, so that’s good right? Although obviously the creatives are male, so who knows. 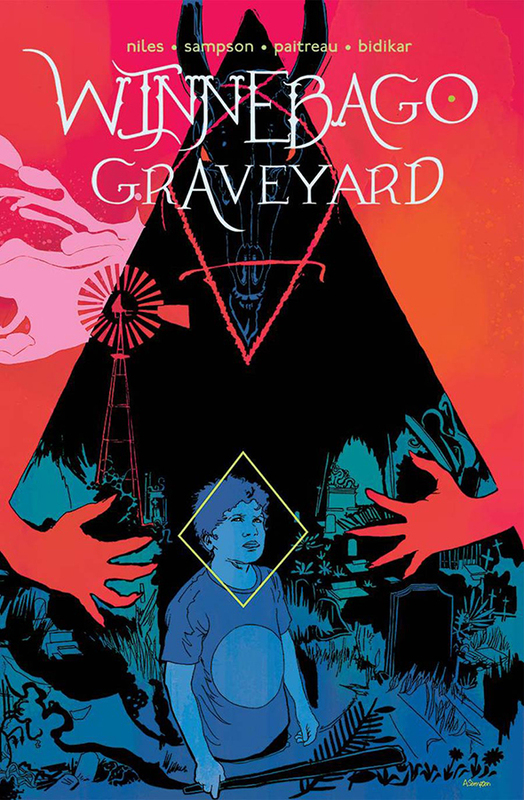 Ryan O’Sullivan is a writer who has been building a growing profile over the last few years on the more genre-based side of the UK small press scene and in licensed comics. 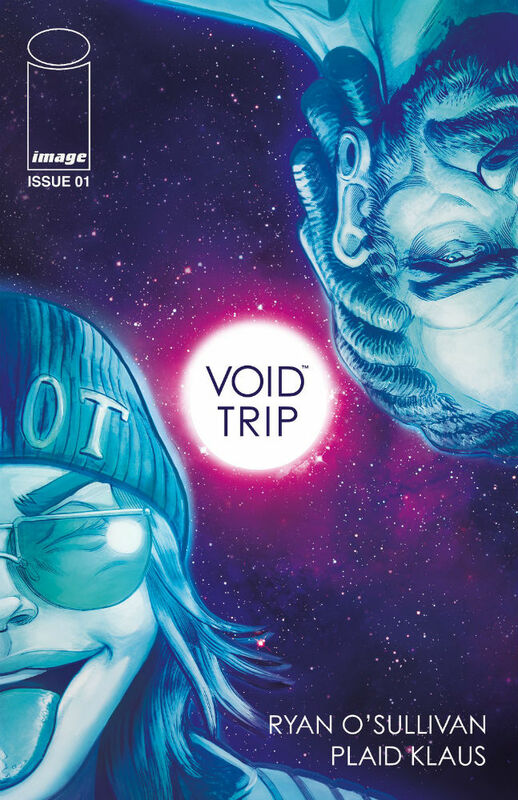 This week sees the first issue of Void Trip – his sci-fi miniseries collaboration with Plaid Klaus from Image Comics that we previewed here at Broken Frontier a few months back. The story follows Ana and Gabe, the last two humans in the galaxy on their trip to the promised land of the “hippy-paradise super-planet Euphoria”. 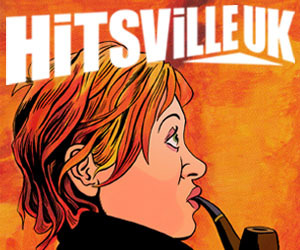 This cosmic road trip of a comic is from a creative partnership with already established pedigree on T-Pub’s Turncoat.